Secretary of the Army Dr. Mark T. Esper meets with U.S. Army Soldiers in the field. Esper spoke at the Center for Strategic and International Studies in Washington, D.C., March 12, 2018, for a public discussion on modernization, military budgets, and the current state of military operations. The Army is grateful for increases offered in the Fiscal Year 2018 budget, said the service’s secretary, but added greater flexibility on how to use that money is needed to make the best use of it. 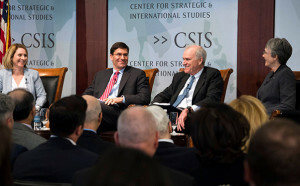 As part of a discussion March 12 at the Center for Strategic and International Studies in Washington, D.C., Esper, along with other service secretaries, spelled out what Congress might do to help their services besides additional funding. 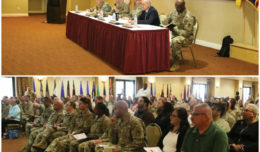 In the short term, Esper said there may be a need for legislative changes that will allow the Army more flexibility in the way it conducts acquisition, especially as the Army plans to stand up its Futures Command this summer. The new command is expected to go a long way toward furthering the Army’s six primary modernization goals. 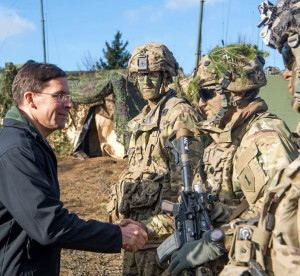 “I think helping us follow through and overhaul the acquisition system, geared toward Army Futures Command and what we are building, would be helpful,” Esper said. Secretary of the Army Mark T. Esper speaks with Kathleen H. Hicks of the Center for Strategic and International Studies in Washington, D.C., March 12, 2018. 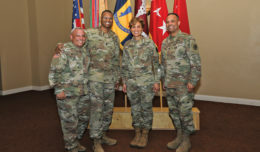 “What we are proposing to do with Army Futures Command is to pull in all those disparate elements that are critical to the modernization process and put them under a single command, with a single person in charge, a single general officer, who is now responsible, and who is accountable to me and the chief of staff of the Army for delivering those products on time and on schedule within the key performance parameters,” Esper said. 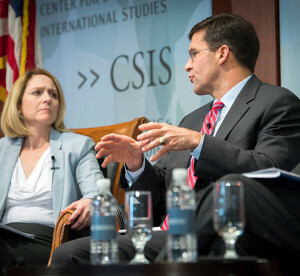 Secretary of the Army Mark T. Esper speaks with Kathleen H. Hicks of the Center for Strategic and International Studies in Washington, D.C., March 12, 2018. Esper, along with Secretary of the Navy Richard Spencer and Secretary of the Air Force Heather Wilson, met for a public discussion on modernization, military budgets, and the current state of military operations. The new command “really promises us the ability to deliver what the Soldier needs, when he or she needs it,” he added. 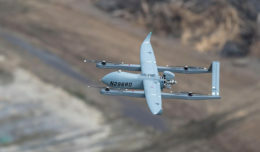 Esper also said that while other nations and potential adversaries may continue to develop new weapons systems — which the U.S. will match — what sets the U.S. military apart from other military forces is not gear, but people.